My mission is to inspire progress. Inspiration is an exalting influence. Progress is movement toward a goal. My core competency is total organizational design - planning, organizing, leading, controlling - that simplifies complex principles and conceptual relationships to make them easy to understand and practical to apply in order to bring your business vision to life. Through total organizational design and effective project management, you and I work as a team to add the value to your organization you have been seeking. My goal is to positively transform individuals, organizations, and communities by opening the floodgates of their creativity and potential. Eric Feinendegen is an award winning and internationally recognized speaker, trainer, and executive coach. In 2015, Eric out-spoke 35,000 contestants from 126 countries to finish in the Top 10 of the Toastmaster's World Championship of Public Speaking. He is the President and Founder of Inspire to Empower, LLC and a founding member of Midwest Speaking Professionals. Leslie offers cutting edge ideas and strategies to develop or refresh your brand. She communicates in a visually engaging way along with her strategic partners who offer high quality deliverables. She has been in the creative services and marketing industry for over 28 years and enjoys all of the different roles and services that work together to create effective branding. Her career journey includes work as a marketing coordinator, graphic designer, trainer, technology support staff, customer service, professional photographer, writer, digital photographer editor, art director and entrepreneur. special art that will set you apart? Aaron is a classically trained artist, influenced by surrealism. His work is created with a bold, energizing style. 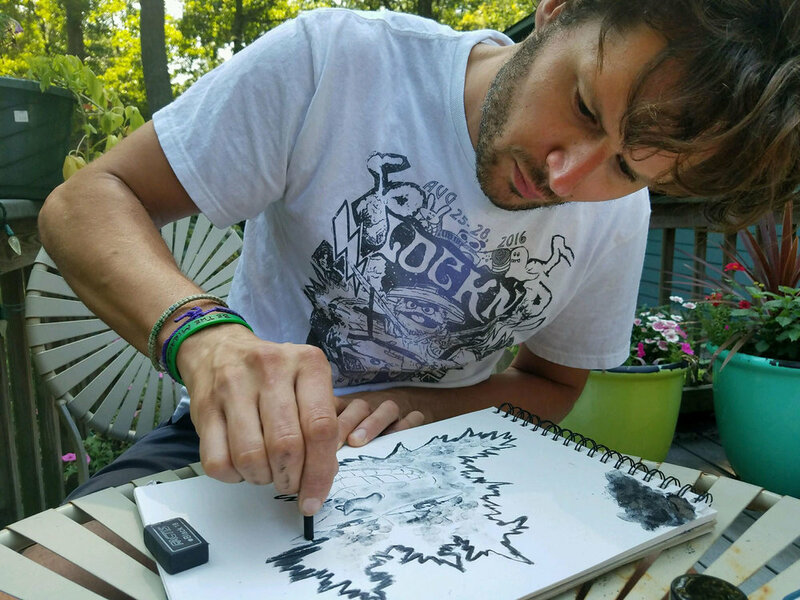 He has developed art for authors, musicians and nonprofit organizations. As a virtual assistant, Christine prides herself on her strategic resourcefulness, meticulous facilitation, and clear-cut professionalism. Some of her specialties are administrative support, customer service, contact management, data entry, editing, mastering new software programs, project management, networking, and business development. Christine is passionate about helping small business owners achieve their goals by “…taking care the little things for them so that they can accomplish GREAT things.” She is an expert at providing assistance with honest and accurate accountability and approaches challenges with enthusiasm and a positive attitude. Derek is an experienced goal-driven sales professional with more than eighteen years in B2B, retail and medical sales. Being a thought-leader, coach and speaker, Derek uses his creative talents teaching sales development, communication branding and business strategy. Laura, an Independent Illustrator/ Designer offers you over 30 years experience in excellence and professional service. Her creative talent will help you gain visibility for your product or service, print or web ready. Clients include Precious Moments, American Egg Board, Chicago Review Press and Jean MacDonald. From logo design, graphic images, to fully rendered original illustration. Laura will fulfill your visual communication needs. She is also the creator and inventor of several licensed product lines and founder of The Coloring Company.